In this database, GM Mihail Marin offers a repertoire against 3.Nd2 French (the so-called Tarrasch system) based on the Isolated queen's pawn (or Isolani). The author relies on his extensive experience with the Isolani to guide you through the intricacies of arguably the most important pawn structure in chess. Marin explains why he prefers 4...exd5 (which leads to the above-mentioned pawn structure) over the fashionable 4...Qxd5. It offers an “early strategic plot in the center” which requires an understanding of positional subtleties first and foremost, while memorization of concrete and forced opening lines takes the back seat. After the most common 5.Ngf3, the author argues that the classical treatment 5...Nc6, advocated by French experts Kortchnoi and Uhlmann in their prime, is a more robust choice compared to 5...Nf6 6.Bb5+ Bd7 and 5...a6 systems. 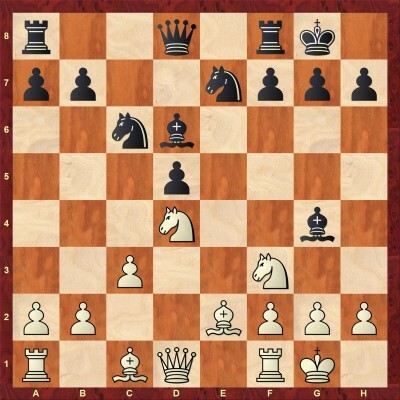 White's most active response is 6.Bb5 when Marin prefers immediate clearance in the center with 6...cxd4!? over the far more popular 6...Bd6. First used by the 6th world Champion Mikhail Botvinnik, this interesting system was brought into the limelight by Viktor Kortchnoi in his Candidates finals matches with Anatoly Karpov and Robert Huebner in 1974 and 1980, respectively. White has three basic continuations: 7.Nxd4; 7.0-0; and 7.Qe2+, which are analyzed in detail in theoretical part (Chapters 1 to 17). Marin explains how this natural-looking move allows Black to develop his king's knight to its best square f6 as White neglects the idea of disrupting Black's development with 0-0 and Re1+. After 7...Bd7, white's most usual response is 8.N2f3, which allows Black just enough time to complete his development naturally with 8...Nf6. 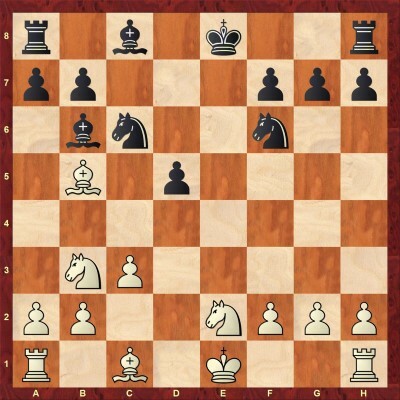 White can employ several schemes against it, with 9.0-0 Be7 10.c3 0-0 11.Bd3 being the most common one. 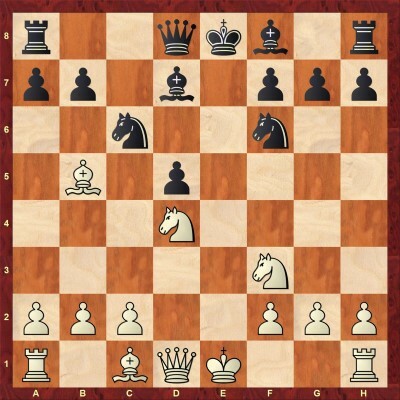 Here Marin recommends a new approach 11...Bd6, improving bishop's position at once. Black is not too concerned about 12.Nf5 Bxf5 13.Bxf5 as after 13...Re8, it is difficult for White to make a good use of his bishop pair. This is the introductory chapter to 7.0-0 variation, which does not allow Black to develop his knight to f6 like in the previous chapter, due to the pressure on the e-file. 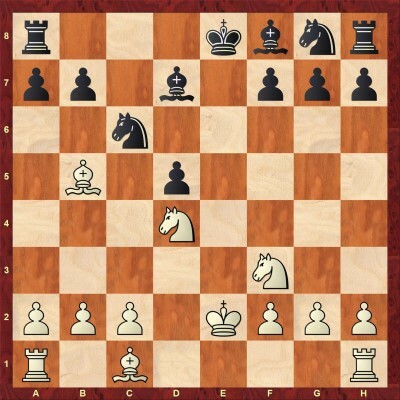 The knight is developed to e7 instead and after 9th move, we get “...the most important tabiya of the classical French Isolani. White has tried many moves and setups, requiring a separate investigation.” The most popular one is 10.c3, although it does allow the pin with 10...Bg4. Here White has two usual responses: 11.Qa4, covered in this chapter, and 11.Be2, in the next one. Marin analyzes both the natural 11...Qd7, preferred by Uhlmann and Portisch, and a bit more sophisticated 11...Bh5, which proved to be rock-solid in Kortchnoi's match against Karpov. 11.Be2 is a solid way to deal with the pin. A complex middlegame arises, with all pieces on the board. White has full control over the key d4-square for the time being, but the author shows how, after the generally useful 11...Re8, Black obtains counterplay with active piece play. ...Qd8-b6 is an important idea, should White quickly develop his dark-squared bishop. White aims to consolidate his control over d4-square with this move; however, Marin believes that it also exposes the bishop to some degree. Black has no reason not to pin the knight with 10...Bg4, just as in 10.c3 line. 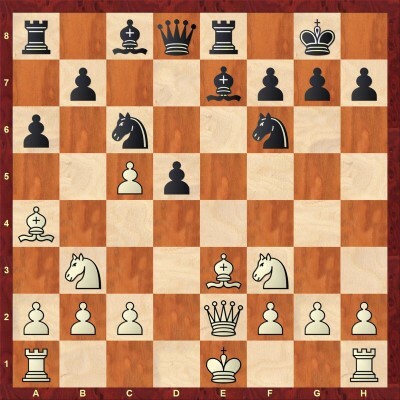 White's natural follow-up is 11.Qd2, when the author prefers to set up the thematic battery along the h2-b8 diagonal the other way around that the usual 11...Qc7. Thus, he makes a case for the new idea 11...a6 12.Be2 Bc7! ?, preparing 13...Qd6 which aims to provoke weakening of light square complex on the kingside. Then, Black switches to his standard piece play revolving around the central squares and avoidance of unfavorable exchanges. This is the most aggressive alternative, but White also has a positional idea in mind with the Bg5-h4-g3 maneuver, trying to exchange dark-squared bishops. Here, Uhlmann's brainchild 10...f6!? looks enterprising. Marin explains the idea: “Apparently, Black weakens his kingside, but his idea is quite ambitious. He will soon play ...Ne5, reaching central activity without allowing minor piece exchanges (as Nxe5 would strengthen his centre).” The key game is Geller-Uhlmann, 1970, in which the German Grandmaster accomplished his idea, reaching a middlegame with mutual chances, which he later won. Black immediately puts pressure on white's kingside with the queen-bishop battery. White can hardly avoid making further weaknesses on the kingside, which allows Black to simplify the situation in the center with the standard maneuver Bc7-b6-xd4. Recapturing with the other knight has its advantages, but it also leaves the kingside a bit exposed and the knight on b3 jobless. 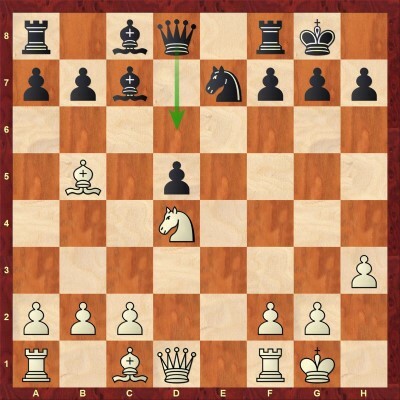 Black can often use the absence of the knight from f3 to conveniently place his knight on e5. He usually faces no problems centralizing the rest of his forces with ...Qc7, ...Bg4(d7) and ...Re8, and as long as he avoids piece exchanges, his chances remain very good in a complex middlegame. 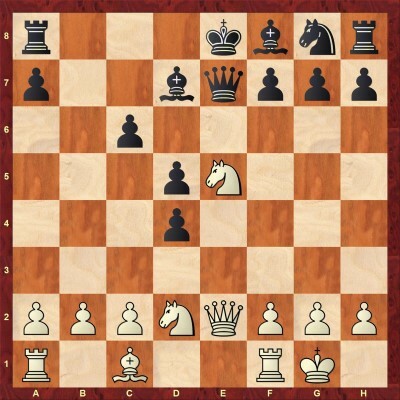 The main line 8.Nxd4 is analyzed in chapters 9 through 12, while Marin takes a look at non-critical 8.Qxe7+ and double-edged 8.Ne5 in this chapter. 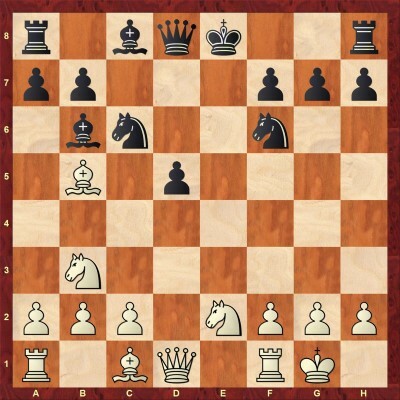 Black is a up a pawn and prepares f7-f6 with the precise 10...Kd8!. 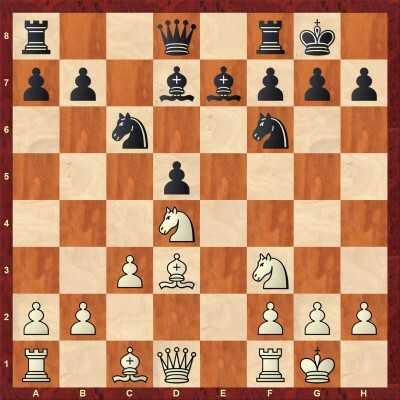 In tactical complications that arose in the key game Svidler-Dolmatov, 1995., Black's chances were no worse and he went on to win. Huebner preferred the “strategically ambitious” 12.f3 over the straight-forward 12.0-0 against Kortchnoi. Viktor Lvovich allowed 14.Bg5 by playing 12...0-0, although he did not have to. He achieved a reasonable position, nevertheless, after 14...Nd7 followed by 15...Nde5, 16...f6, Be6-f7 and equalized the game soon thereafter. 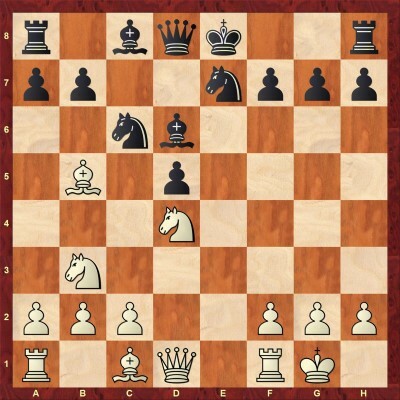 9.Kxe2 is White's second plan – he retains the tension on c6 at the expense of keeping his king in the center for a while. 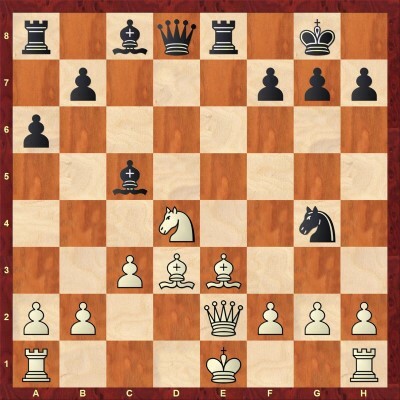 After pretty much forced 9...Bd7, the continuation that is the focus of this chapter, 10.Nxc6, is not a critical one, though it is important to understand how to treat the second most common pawn structure in this opening, which arises after 10...bxc6. White usually tries to target the pawn duo c6-d5 directly with c2-c4, or indirectly by establishing dark-square blockade with Nd2-b3 and Be3-c5. Marin does an excellent job of explaining how Black can successfully fight against these plans and even create a dangerous play of his own. Key games are Duda-Rakhmanov and author's own Vovk-Marin. White can deal with ...Nf6-g4 threat in two ways: 12.f3 and 12.h3. The former weakens e3 square and Black obtains a good game after 12...0-0 and Nc6-e5-c4. The latter is more solid – White prepares artificial castling with Rhe1 and Kf1. Marin's recommendation 13...a6 14.Bd3 Ne5 15.Bf5 Ba4!? is fully in the spirit of the position – Black avoids exchanges and aims for active piece play. 3) 10...Nf6 11.Re1 0-0-0! ?, which was Korchnoi's original choice in this position. In chapters 13 to 16, Marin examines early bishop check 5.Bb5+ which postpones development of the white knight and offers him some additional possibilities, such as 6.Qe2+ and 6.Ne2 - the topic of this chapter. This quiet knight move was designed against the main line 6...Bd6, when it sometimes supports the exchange of dark-squared bishops via f4. 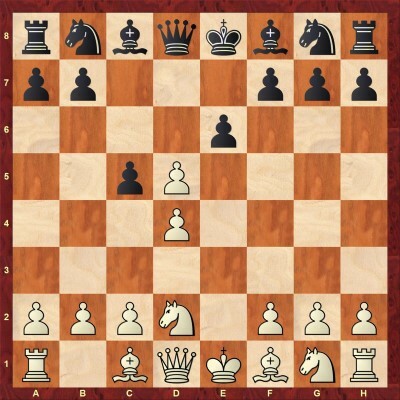 However, the author argues that “...since there is no danger of a check along the e-file Black can develop his knight on the best square.” Thus, 6...Nf6 7.0-0 Bd6 8.dxc5 Bxc5 9.Nb3 Bb6 leads to a position when Black is one move short of comfortably completing his development. 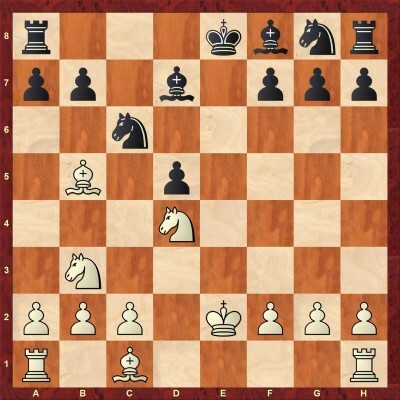 White's principled continuation is, therefore, 10.Ned4, creating direct threats. However, Black has an elegant solution in 10...0-0, sacrificing a pawn for the sake of development. 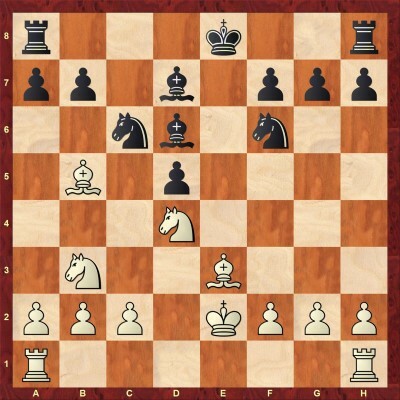 Whichever way White captures the pawn, Black is ready to start kingside attack with Ng4, with excellent compensation. 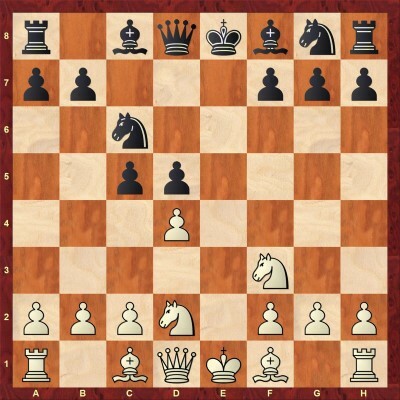 Black relies on quicker development and tactical opportunities related to the opposition of Re8 and Qe2 on the e-file to return the pawn and/or obtain initiative. In this chapter, the focus is on 9.Be3, which is met with 9...a6 and if 10.Bd3, then 10...d4! ?, with double-edged play. Variations in this and next two chapters are probably the sharpest in the whole opening, meaning that both White and Black need to play accurately, especially if White castles long, which is often the case in this variation. According to Marin, this is a more consistent and harmonious continuation as “...it keeps the balance between development on each wing.” Black naturally continues with 9...Re8, when the critical line is 10.Be3 a6. Now, White has three choices with his bishop. The greedy 11.Bxc6 offers Black the bishop pair advantage as a compensation, which becomes quite concrete after 11...bxc6 12.0-0 a5. 11.Ba4 is covered in Chapter 16, while 11.Bd3 is the topic of this one. 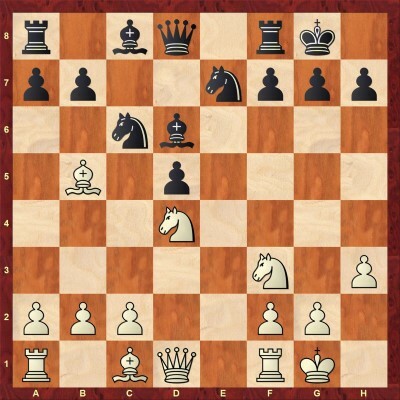 Indeed, after 15.0-0-0, 15...Bxd4 16.cxd4 Be6 puts white king under pressure, whereas 15.0-0 is met with a nice drawing combination 15...Qh4 16.h3 Nxe3 17.fxe3 Bxh3!. The third possibility for White, which GM Marin considers “Abstractly the most consistent, ...but concretely risky...move.” It is well met with 11...Ne4 and if 12.0-0-0, Black's best is 12...Bxc5. Now, 13.Nfd4 Bd7 leads to a complicated position with mutual chances. 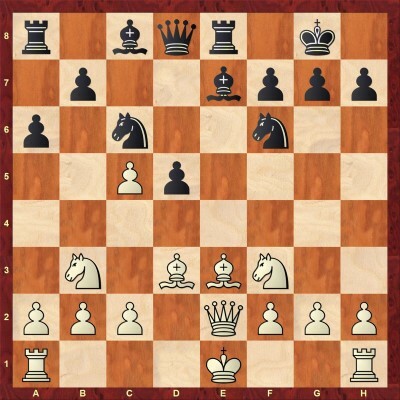 The 9th World champion Tigran Petrosian played this position with Black, as well as the author himself, so you will find several good practical examples. 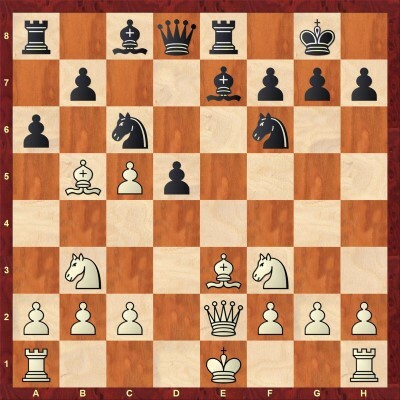 In the last chapter, the author examines White's sidelines on move 4, including the fashionable 4.Ngf3. Black can answer simply 4...Nc6, when White has three or four independent tries (other than just transposing into well-known lines with 5.exd5 exd5). 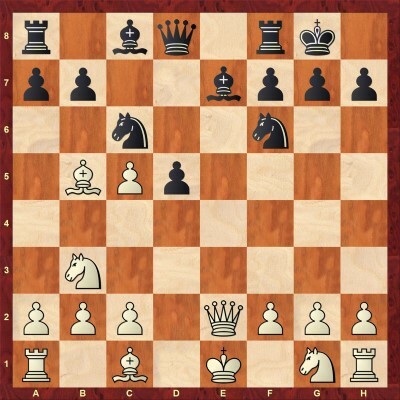 The author does not consider 5.dxc5 Bxc5 6.Bd3 Nf6 7.Qe2 0-0 8.0-0 Qc7 line particularly challenging. 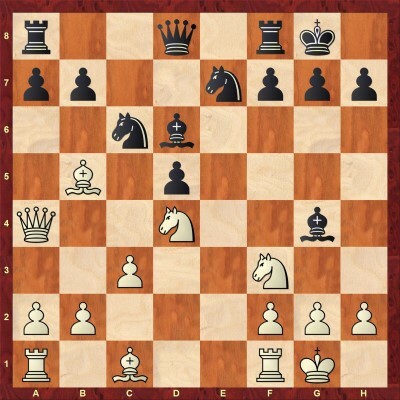 The modest 5.c3 leads to an Isolani type of position, only for White, after 5...cxd4 6.cxd4 dxe4 7.Nxe4 Be7 8.Bd3 Nf6 9.0-0 0-0 where Black is solid enough. In addition to the theoretical part, you would do well to study the chapter on Isolani strategy that contains 9 thoroughly annotated model games with this pawn structure. Learning how world-class players such as Karpov, Korchnoi, Portisch, and Jussupow treat these positions is just as important as memorizing opening theory of this variation. GM Marin makes sure he practices what he preaches as he has been playing 6...cxd4 variation himself of late, and in this section, you will also find one of his games, featuring an instructive kingside attack.